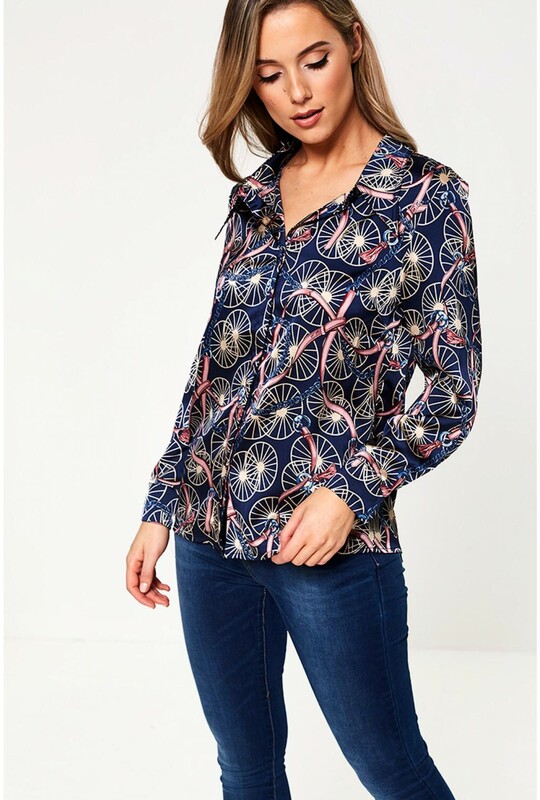 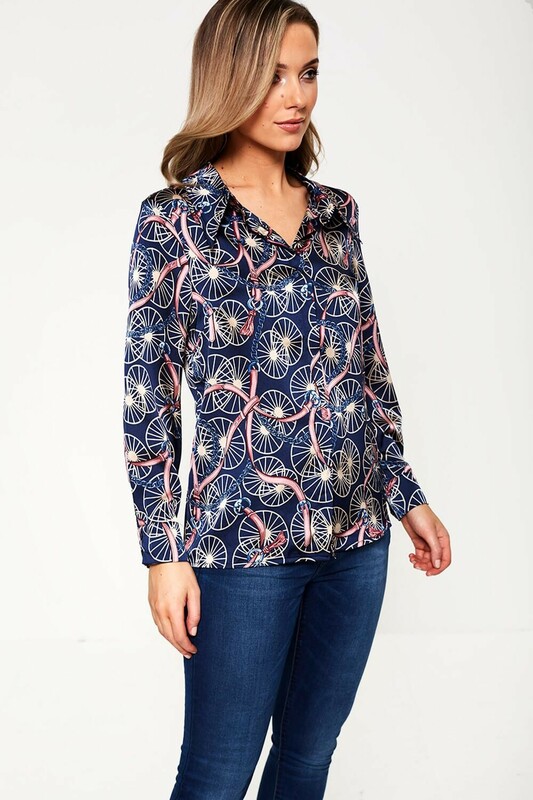 New in from Maisy Boutique is this long sleeve shirt, the perfect piece for teaming with separates. 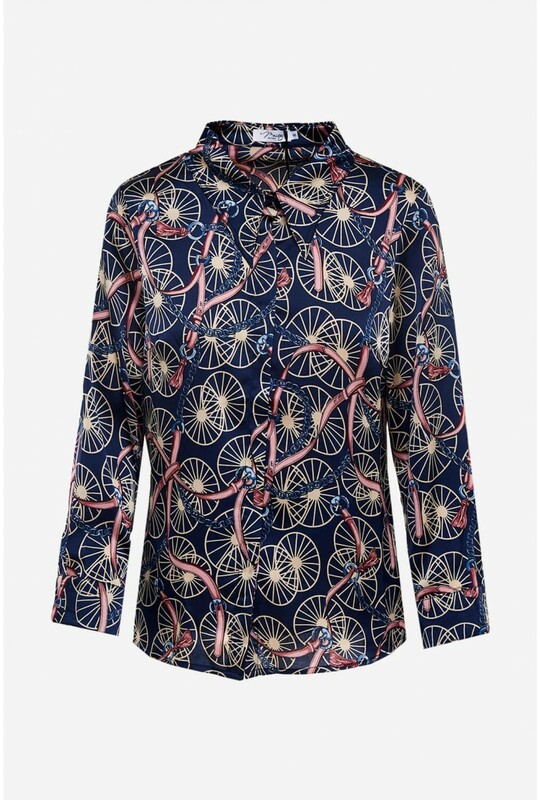 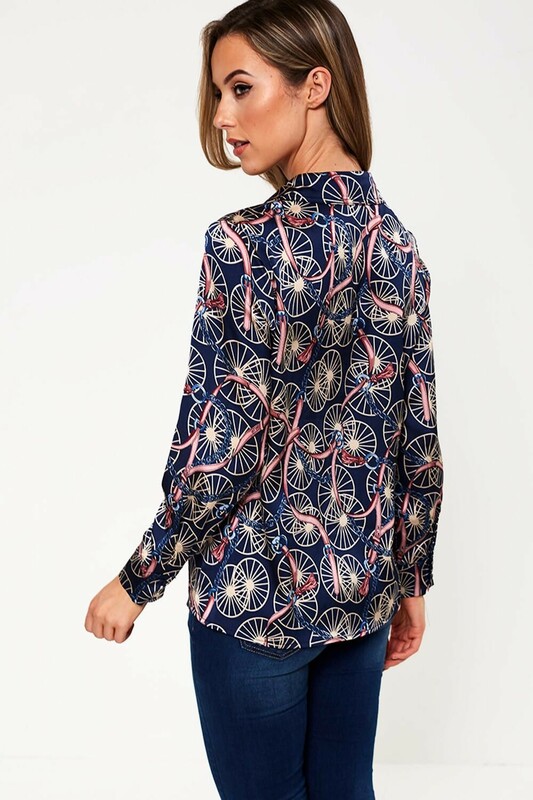 In a silk-like fabric, all over chain print and a classic point collar design. Pair with tailored trousers and a blazer for a polished occasion look, or team with our coated margo trousers to take you from desk to bar.